On your toes, Agent! Someone has just attacked the H.E.L.P. academy, breaking into the vault and making off with an ancient map. All signs point to an inside job, but who would be brazen and foolish enough to do such a thing? And what do they want with a map thats tied to a Norse myth about the end of the world? 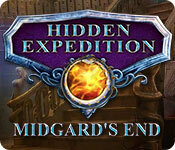 Set out across the globe, from Budapest to Greenland, in this action-packed Hidden Object Puzzle Adventure game!